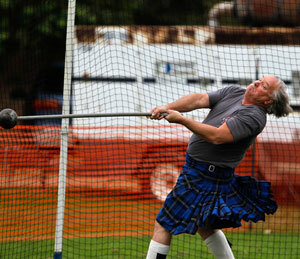 Figure: The competitor toss a large tapered pole called a "caber". Figure: Scottish Backhold is a style of folk wrestling. The wrestlers grip each other around the waist at the back, with the right hand under the opponent's left arm and the chin resting on the opposite right shoulder.